Well-done food, convenience and designed experience. Some days ago we posted about Fast Casual Food here on the blog. Another perfect example of this kind of approach towards food is the restaurant chain Pret a Manger. 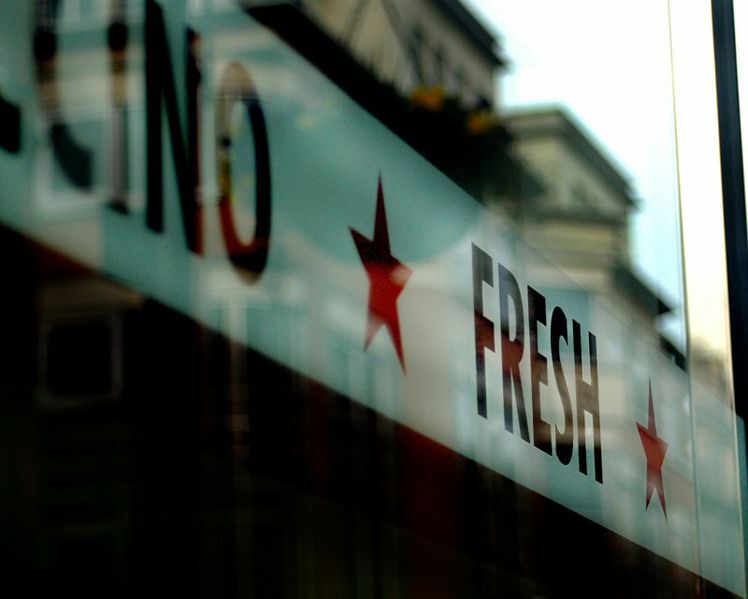 The first Pret , like it likes to be called, was opened in 1986. It is the same year Slow Food was founded. Even having a lot of different principles and goals, this two initiatives are still a part of a certain cultural behavior change. Since the 80’s, our global and individual problems regarding relations between food and men got more explicit and bigger. People are more aware about how food shapes not only ourselves, but our world itself (socially, economically, physically, biologically…). Franchising. Pret says they do not franchise. This reassures the quality control that is shown by them. Other than ingredients quality, they “run many courses”. If the concept is present in every shop spot, what to say about the people who represent the brand for you? They take those courses, “most of which have nothing to do with sandwich making”, in order to know how to work under Pret’s concept. Like I wrote before, there are strong critics about some Pret’s workers’ situation, about their relation with McDonald’s corporation, about buying food from far producers and also about some other contemporary food industry problems. But the company claims to be following UK higher food standards and also dealing well with waste, sustainable sources and considering social care by taking actions like giving their today unsold sandwiches to homeless charities rather than keep them over to sell the next day. All these questions, linked with other aspects, must be a part of the user’s experience. The way it is going to be designed all depends on the context, what kind of concept you want to offer and who is experiencing it. Pret a Manger’s design is not only in their award-winning packaging, graphic and other products but in the way they offer their services, it is present in the way their experience is offered and experienced. Better late than never, comes the platform for those who want to shop from local producers, but don’t have time. Cortilia is online, the first local farmer’s organic food market in sales and distribution network. And you can have it all at home. The network isn’t that large yet (available in Italy), but it’s a great initiative that can bring significative changes for both producers and consumers and also for those who aren’t a part of it, considering environmental and social gains. Una singolare protesta contro i privilegi della casta, ideata da Gino Sorbillo proprietario di una pizzeria nel cuore di Napoli. E’ stato lui a stabilire per primo un prezzo maggiorato per senatori e i deputati. Una pizza per i politici invece che costare 3 euro come per la gente comune, viene venduta a 100 euro. E lo sa bene l’onorevole Sergio D’Antoni del Pd, al quale una serata in pizzeria, sabato scorso, è equivalsa a un salasso. La stessa iniziativa è stata intrapresa da altri tre esercizi commerciali di Roma, tra i quali la gelateria BeeBop vicina a via Cavour, riconoscibile dal cartello: “Gelato a 30 euro per senatori e deputati”. Il pizzaiolo Sorbillo accompagnato da Angelo Bonelli dei Verdi si è recato stamattina a Montecitorio per consegnare la “pizza Maserati” in onore del ministro Ignazio La Russa e delle 19 auto lussuose, dal valore di 2 milioni di euro, comprate di recente per i suoi generali. “Una provocazione, un modo per dire basta ai privilegi e agli sprechi della politica, un’iniziativa popolare, dal basso che possa far riflettere e stimolare l’opinione pubblica” afferma il pizzaiolo di Napoli. Are you really what you eat? As people move out of the traditional healthcare delivery system in search of healthier lifestyles and a more holistic approach to interventions, food is becoming the new designer drug. Food isn’t just about the healthier choice anymore; it is also about the culture and community that it breeds. Whether it’s organic, gluten-free, low carbs, low sodium or if it’s highly social or tweetable, there is a new food economy emerging today. Inspired by insights from our last event, “Design a Healthy Startup: Prevent Burnout,” we decided to take a look at the world of food and technology and what kinds of investment opportunities there are today. Join us on August 10th from 6:00-9:00 p.m. at 500 Startups for an event entitled, “The New Food Chain: Investing in Food Startups.” Learn more about the event and reserve your spot here. Check out additional food startups that have been asked to demo like E La Carte, Shopwell, and GogoMongo. A special shout out to our sponsors: Calafia, SanFranola Granola, Coupa Cafe, Curry Village Foods and Equator Coffee who are leaders in the organic and healthy food movement and will be providing dinner for the evening. A group of Seattle entrepreneurs has come up with one solution to the urban food desert problem, and it doesn’t involve adding traditional supermarkets to underserved areas. 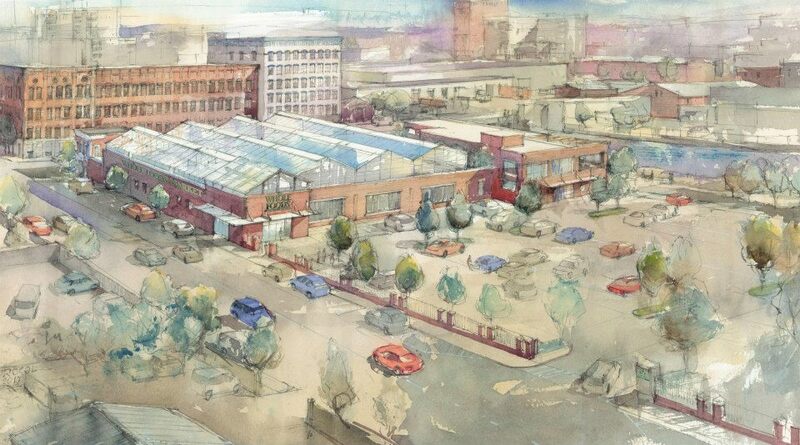 Their new venture, Stockbox Grocers, is taking the favorite building block of the green-building movement—the shipping container—and adapting it into a miniature food emporium, packed from floor to roof with fresh produce and other staples. “Our goal is to bring food back to communities, and focus on communities that don’t currently have good access to food and are heavily dependent on public transportation,” says founder and owner Carrie Ferrence. This week, Stockbox celebrates the opening of a 160-square-foot prototype store in a parking lot in a neighborhood where corner stores are the only source of food. Up to five customers can shop at once, said Ferrence, and only one person is needed to staff the operation. This first store—housed in a temporary structure that’s actually smaller than a shipping container—is intended as a six-to-eight-week experiment to feel out the needs of the community and gather feedback. “A lot of people who come in are breaking down the myth that people of low income and mixed income don’t want access to organic or natural food,” Ferrence says. By the end of next year, she and partner Jacqueline Gjurgevich hope to have four permanent shipping container stores up and running. A cooking class being taught at La Cocina. See more pictures of La Cocina’s chefs and fans. Veronica Salazar was born in Mexico City, but after moving to San Francisco she couldn’t find a taqueria serving anything like the cuisine she grew up with. Working in restaurant kitchens during the week to support her family, she began selling her native foods at home on the weekends. Word spread, and the crowds grew to 40 customers, but she needed help to make her passion into a business. In 2005, Salazar found the help she needed, starting El Hurache Loco—named after a Mexican delicacy shaped like the iconic sandal—in the commercial kitchen operated by a nonprofit called La Cocina. Initially a catering company, El Hurache Loco grew into a beloved food stand at area farmers markets. This fall, Salazar will open her own restaurant, a major victory for her and the organization that helped kickstart her business. La Cocina’s mission is to transform talented home cooks into successful businesswomen by removing obstacles to entrepreneurship. Rooted in the Mission District of San Francisco, La Cocina provides commercial kitchen space and technical advice to help low-income, immigrant women start their own food businesses from square one. La Cocina offers the resources these women need to harness their talent and create successful businesses to support their families and contribute to the local economy, all while doing what they love. The idea for La Cocina began in the late ’90s based on feedback from other nonprofit groups serving immigrants in the Mission District. Launched in 2005, La Cocina was born out of a paralyzing community-wide need for affordable commercial kitchen space. Women were selling delicious food out of their homes or on the streets, but were unable to take their businesses any further. “The barriers to entering the food industry are high and they are real,” Caleb Zigas, the organization’s executive director, says. Commercial kitchen space is prohibitively expensive and La Cocina’s “clients face additional barriers like perception barriers, language barriers and class barriers” that make it extremely difficult to start and maintain a small business. “La Cocina is creating equal opportunity for people that are making some of the best food, but can’t normally access the resources they need,” says Nick Heustis, regional marketing coordinator of Whole Foods, which carries products made by the organization’s chefs. So La Cocina stepped in to fill the need, and over the last five years has dramatically increased the scope of their services and the number of clients they assist from six to more than 50. “Our priority for our businesses is to put them in a space where they can succeed long term. It is a long, intensive process,” says Zigas. The business incubator program lasts anywhere from three to five years. During this period, La Cocina’s permanent staff and dedicated volunteers help business owners lay the foundation they need to survive in the cutthroat food industry. La Cocina prioritizes finding ways for their clients to launch businesses with very little capital and facilitates their access to investment, but the staff also helps program participants navigate treacherous legal regulations on food production, market their goods, and access new markets. La Cocina’s volunteer network is a major contributor to the success of the businesses it supports. Professionals in a variety of fields—marketing, graphic design, legal, and finance—donate their time and expertise to help these businesses get off the ground. By providing the support these unlikely food entrepreneurs need to start and maintain their own businesses, La Cocina is changing their lives, bettering the local community and breaking down long-upheld barriers. And a model that works in San Francisco could inspire similar nonprofits around the country. There’s already a precedent for national attention: Celebrity chef Anthony Bourdain recently visited one of La Cocina’s food trucks, Chaac Mool, for his show No Reservations. Chaac Mool’s owners, Luis and Maria de La Luz Vazquez, began selling Mayan-inspired Mexican cuisine out of their Tenderloin apartment six years ago before partnering with the nonprofit.